Microgaming Launched New Generation of Table Games! In recent news, Microgaming announced the release of a new take on the classic table game, Roulette. In partnership with Switch Studios, the two have created the next era of online casino games. As for Switch, this marks a new beginning for the young developer who made its debut at the 2018 SiGMA Conference. In terms of recognition, this collaboration with Microgaming sets the tone going into spring 2019. The new Roulette is only the first in a suite of redesigned table games from Microgaming. Apparently, this is the ultimate, most-realistic Roulette 3D experience you can find online. Even the way the ball spins on the wheel has true-to-life behaviours. Also, the simple yet sophisticated design allows players to place a bet on the go effortlessly. As of last week, all Microgaming operators launched the game, and the ball is now in motion. According to Game Publisher at Microgaming David Reynolds, Switch Studios is focusing on only bringing the most innovative style to the online gaming sector. And, he added that this new game is only the first of many to come. With that said, it looks like there’s still much more on the way. In the meantime, let’s check out what Switch had to say about their new roulette game. Head of Studio at Switch Tom David had this to say, “We are very proud to unveil our first official game release under the Switch Studios brand, exclusive to Microgaming. We aim to deliver the best selection of classic table games that players enjoy and Roulette is paving the way for a new series of table games to come”. He also made clear that his company plans to launch its next casino game, Blackjack in the coming months. All in all, this is excellent news for all table game lovers. 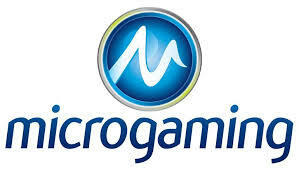 It seems that Microgaming is getting ready to revolutionise the industry.